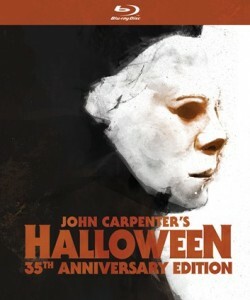 As Halloween fans wait patiently for this year’s John Carpenter-endorsed sequel, word comes that a bonafide Carpenter original is coming back to the big screen with a full 4K restoration. 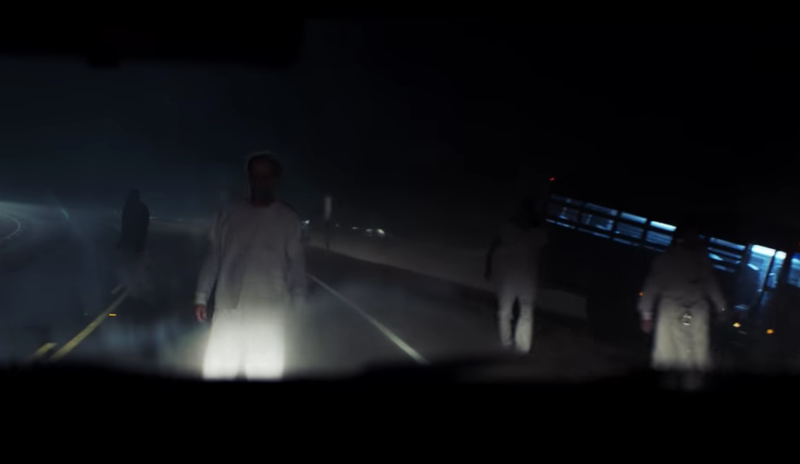 Rialto Pictures will showcase the director’s Halloween follow-up, 1980’s The Fog, in a limited run beginning October 26 at New York’s Metrograph theater, Landmark’s Nuart in Los Angeles, and The Music Box Theatre in Chicago. For those who missed the film when it first screened in theaters, and for those who only know of the its much-maligned 2005 remake, The Fog stars Jamie Lee Curtis, Tom Atkins, Hal Holbrook, and Janet Leigh as residents of a coastal California town that is besieged by the titular fog, which carries with it a crew of ghosts bent on revenge for a 100-year-old sleight. Carpenter filmed the picture for $1.1 million, and it grossed more than $21 million in theaters. 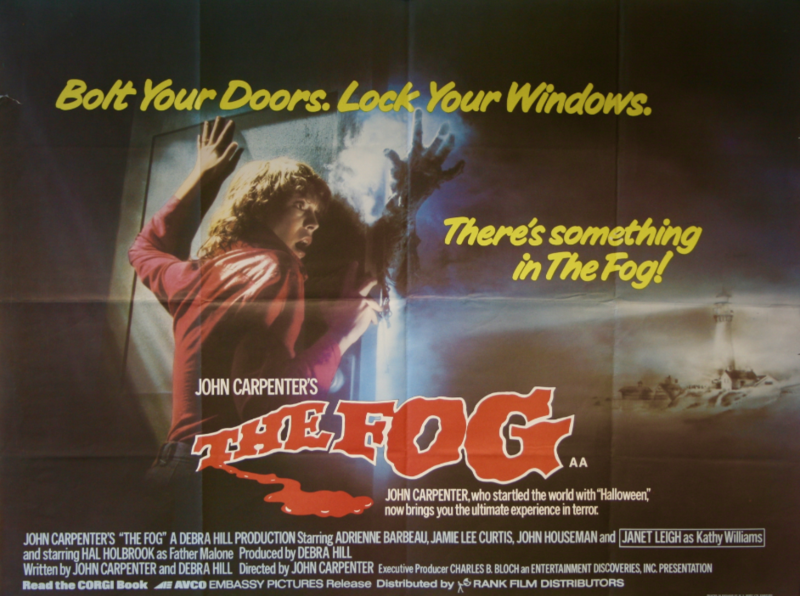 Following its October 26 re-release, Rialto Pictures will screen The Fog in select Alamo Drafthouse and other specialty theaters. The announcement comes on the heels of Now Playing Podcast’s planned Fall 2018 Donation Drive, which includes The Fog as part of Jamie Lee Curtis-centric “Scream Queen” retrospective. As is tradition, donors will get to choose between Silver, Gold, and Platinum tiers. The Silver Level series ($10 or more) features Will Smith in his prime, headlining Now Playing Podcast reviews of the Men In Black franchise, along with Independence Day and its upcoming sequel. 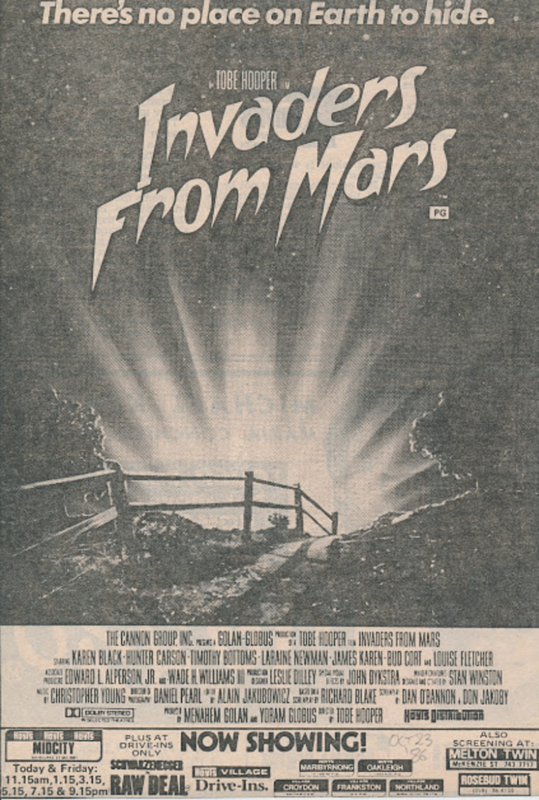 “Invaders from Mars” ad from 1986. The Gold Level series ($25 or more) is where things get really interesting. 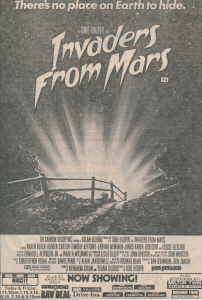 For the first time, the Now Playing hosts will dissect a series of non-franchise releases with no connection to one another: Critters, Tobe Hooper’s Invaders From Mars, SpaceCamp, Labyrinth (starring Jennifer Connelly and the late, great David Bowie), John Carpenter’s Big Trouble in Little China, and Night of the Creeps. While none were blockbusters in 1986, they still have their fans, most notably Big Trouble and Creeps, which listeners have long requested Now Playing review. When the summer is in full swing, the donation series will focus on one of the greatest comedies of all-time, its pretty great sequel, and the controversial remake/reboot that arrives July 15. A Platinum Level donation of $35 or more will deliver all of the aforementioned reviews, and the Ghostbusters retrospective. 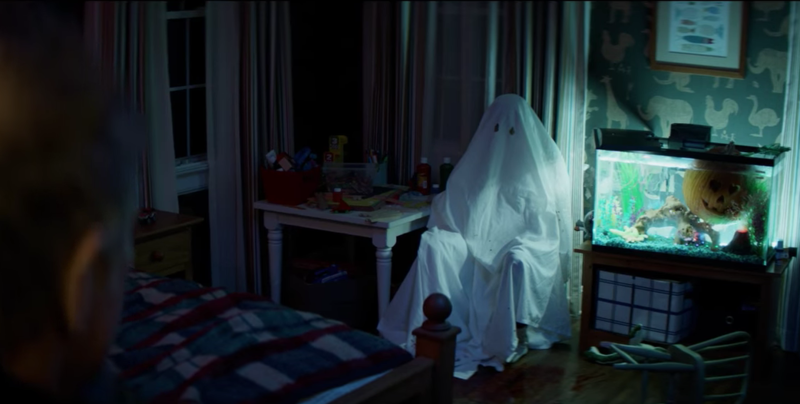 The director of Bridesmaids and Spy helms the latest incarnation of the New York-based paranormal investigators and eliminators, and following a mixed reception to the first trailer, it will be fascinating to see if this new Ghostbusters can amass the kind of fan following the first films earned. The Now Playing Podcast Spring Donation Drive runs from April 1 to July 31, with the first review scheduled for release on April 22. Sign up now to get all of these bonus shows! He’s not the only one back for 2015’s SPECTRE. When Now Playing Podcast listeners start streaming the latest review in the show’s James Bond Retrospective Series, they’ll hear a familiar voice. Although he’s the voice of Now Playing Podcast’s opening narration and closing credits, listeners haven’t heard longtime co-host Brock review a series since the 2013 Riddick retrospective. Brock, who sat on the panel for Now Playing’s first retrospective in 2009, talked about his return to the show as a co-host and what’s next after Bond. Q: How much have you missed being a regular co-host? Are there any recent series’ you wish you could have been a part of? Q: You’re back for Bond, what about that series are you most looking forward to? Brock: “Are you kidding? SPECTRE is back in the fold, which likely means Blofeld! Us Bond fans have been looking forward to SPECTRE and Blofeld’s return since Diamonds Are Forever. In the For Your Eyes Only pre-credits scene they strongly hint that is Blofeld of course, but they never actually call him that by name. I am also hoping they connect SPECTRE to the mysterious Quantum organization in Quantum of Solace, which is also the one Le Chiffre was working for in Casino Royale. They completely skipped over that in Skyfall, so here’s hoping we get some answers and connections. We will see soon enough. Q: Have you been practicing saying “Brock, James Brock” in the mirror? Q: You’re also coming back for Creed, are you excited for the film? What were your thoughts when you heard there would be a spinoff to Rocky? Q: Is this something we can come to expect in the future? Will Brock be back for the next Halloween film, the next Friday the 13th, or even a Jaws sequel?? Q: 2016 will be the ninth year of Now Playing, which means the 10th anniversary is coming fast. Did you ever see the show lasting this long, and why do you think it’s been so successful? Brock: “Truly unbelievable, isn’t it? After that first retrospective series I knew we were on to something. The potential of this show is limitless. The only thing I ever thought would make the show stop would be the inevitable running out of movie series to review! But thankfully, with Hollywood as sequel happy as ever, and obsessed with rebooting every dormant brand name series they can find, Now Playing should be able to go on for quite a long time to come. Now Playing’s James Bond Retrospective Series continues Nov. 10 with the review of SPECTRE. Springfield, Ill. – Oct. 30, 2015 – John Carpenter, the visionary creator of the Halloween film franchise and director of cult classics The Thing and They Live, is teaming with the hosts of Venganza Media’s Now Playing Podcast, and adding his name to the company’s first publishing project, Underrated Movies We Recommend. Carpenter will write the foreword to the fan-funded book, which features discussions and reviews of 125 undiscovered and underappreciated films selected by the hosts of Now Playing Podcast. The renowned “Master of Horror” will share his thoughts on films that fly under the radar, but slowly build a strong following of fans and become classics in their own right. Underrated is a celebration of filmmakers like Carpenter, the director, producer, screenwriter, and composer who is earning the respect of a new generation drawn to such memorable films as Escape From New York and The Fog. Carpenter’s participation also adds another incredible chapter to the story behind Underrated and the fan-driven effort to bring the book to life in 2016. Launched as a 30-day Kickstarter project with a $40,000 goal, the book became an instant must-have for Now Playing Podcast listeners, who powered the campaign past its goal in the first four days, and went on to raise an astonishing $115,482 in pledges. Fans can pre-order the book now at the Now Playing Podcast website. Underrated is being produced during one of the busiest years in Now Playing Podcast history. As the hosts write furiously behind the scenes, they continue to deliver extensive weekly reviews of 2015 biggest blockbuster franchises, including Star Wars and Jurassic Park. This fall, the show’s faithful supporters are also being treated to reviews of The Hunger Games franchise and the films of Quentin Tarantino. Suggested tweet: Film legend @TheHorrorMaster to pen foreword to @NowPlayingPod #NowUnderrated book! Venganza Media Inc. is an independent multimedia company and home to the Venganza Media Podcasting Network. Film fans and collectors worldwide know Venganza as the producer of Star Wars Action News, Marvelicious Toys, and Now Playing Podcast. Since 2005 Venganza has delivered thousands of hours of entertainment to listeners, while its staff and fleet of contributors have established the company as a premier source for film reviews, celebrity interviews, and collecting news for audiences of all ages. Since its launch as a short-form, off-the-cuff movie review show, Now Playing Podcast has grown into one of the most successful and celebrated independent programs online and consistently ranks among iTunes’ Top 10 TV/Film podcasts. Its ability to stand out in a crowded field is largely attributed to Now Playing’s highly-acclaimed retrospective format, keeping listeners engaged week-after-week as its panel of critics chronicle decades of hits-and-misses while maneuvering Hollywood’s hectic release schedule. Corn Connection: Terminator, Living Dead, and Garbage Day! As Now Playing Podcast embarks on its nine-part Children of the Corn series, listeners are invited to take part in some behind-the-scenes fun; pointing the stars of the franchise toward their places in the Now Playing archives. Stars? Actually, yes. It turns out, the cornfields are full of familiar faces. Perhaps the word “stars” is stretching it a bit, but there’s no doubt you’ll recognize some of them. So, what about that 1984 Children of the Corn film? Which actors and actresses went on to further mention on Now Playing Podcast? There will never be another Sarah Connor (just try it reboots!). Corn was released in theaters about seven months before The Terminator in 1984, and if it weren’t for her iconic role, it’s likely we wouldn’t be talking about Hamilton again unless Now Playing Podcast ever reviews King Kong Lives. This actor has a career dating back to the 1950s, with more than 180 credits listed on his IMDB page. But to Now Playing Podcast listeners, he’ll always be remembered as Gen. Phillips, the man who sent Arnold Schwarzenegger and his team of commandoes into the jungle, where they ended up facing the Predator. Why did he pick Arnold? Cause some damn fool accused him of being the best! Listeners will get to know John Franklin very well during the Corn series, as his turn as Isaac will likely be the role that defines his Hollywood career. But Franklin did make an appearance in another Now Playing series; he did voice work for the first Child’s Play film. Unfortunately, that’s a series currently locked away in the Now Playing vault. Gains is one of those 80s actors that you’ll swear you saw in 100 films. You’re probably right some of the time, the rest of the time you’re mistaking him for Stu Charno or Jason Lively. But Gains has made a couple of appearances in films reviewed by Now Playing Podcast. He’s got an uncredited role in Rob Zombie’s Halloween and also the first Back to the Future film. The latter will have you scratching your head, but pop in that disc (or tape?) again and take a look. You’ll see Gains in a pivotal scene. Here’s a hint: Earth Angel. Philbin is another actor that you’ll recognize in several roles, most notably as a member of Patrick Swayze’s gang in Point Break. But he also played a role in The Return of the Living Dead, which is currently locked away in the Now Playing Podcast vault. Wait, Eric Freeman? That Eric Freeman? Garbage Day Eric Freeman?? Yes, one of the most mocked memorable villains in the annals of Now Playing Podcast makes an uncredited appearance in the first Corn film. Sadly, he doesn’t get the chance to speak his most famous two-word line. But you can enjoy the best/worst that Freeman offers as an actor during Now Playing’s hilarious 2012 holiday series. Enjoy Arnie’s Christmas jingles! That does it for Children of the Corn. Did we miss anyone? If you spot an actor or actress with a connection to Now Playing Podcast leave a comment and help a fellow listener! August 20, 2014 Posted by Jason Latham | News, Now Playing Podcast	| arnold schwarzenegger, back to the future, child's play, Children of the Corn, courtney gains, eric freeman, garbage day, Halloween, john franklin, john philbin, king kong lives, linda hamilton, Now Playing Podcast, point break, predator, r.g. armstrong, return of the living dead, sarah connor, silent night deadly night, stu charno, terminator | Comments Off on Corn Connection: Terminator, Living Dead, and Garbage Day! Los Angeles, CA—September 20, 2013 – Marvel’s Ultimate Spider-Man makes its Disney Channel debut in a special one-hour Halloween event, Saturday, October 5 at 9pm/8c. This brand new prime time animation special features a never-before-seen team-up with Blade, the fan favorite vampire hunter; Jack Russell aka Werewolf by Night; The Living Mummy; Frankenstein’s Monster and Man-Thing. United together in animation for the first time, Spider-Man and his monstrous allies take on one of the biggest Halloween villains of all time, Dracula! The episode will re-air the following week within the weekly Marvel Universe block on Disney XD, on Sunday, October 13at 11am/10c.